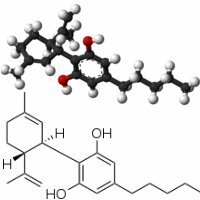 The United States Drug Enforcement Administration (DEA) has made life for cannabidiol (CBD) researchers in the USA easier; well, a little anyway. Cannabidiol is one of the many cannabinoid compounds that can be extracted from the marijuana plant. It can represent up to 40% of the plant’s extract in medicinal cannabis strains selectively bred for the compound and up to 1% in some strains of industrial hemp. Cannabidiol is believed to be beneficial in treating conditions such as epilepsy in children and it does not induce a euphoric state, nor is it addictive. Up until recently, researchers conducting CBD-based clinical trials needed a special registration that permits the possession of an approved amount of CBD for a specific research protocol. If a researcher expanded their research and required more CBD, then a modification would need to be made to the registration; costing precious time. The changes in regulation take effect immediately. As cannabidiol satisfies none of these criteria and levels of THC are negligible, its continued presence on the list is a source of great frustration to those wishing to study it and detrimental to patients who could be benefiting from it. Washington Medical Cannabis Bitcoin Payment Ban?